Don’t we all, Hulk. Don’t we all. 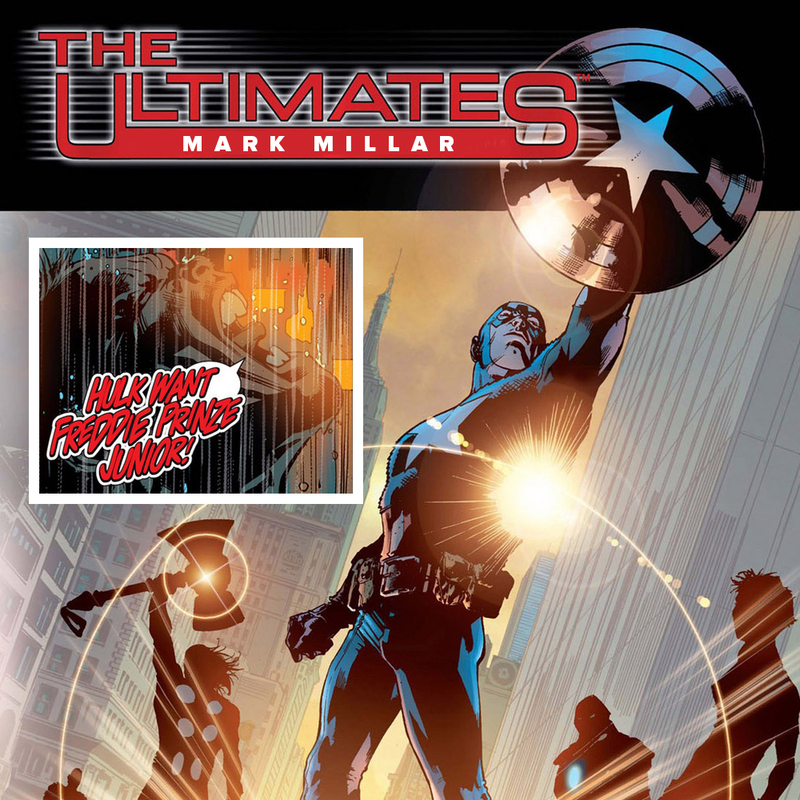 The Ultimates was Marvel’s first attempt to modernize the Avengers and it became the source material for the film. Did we finally find a Millar book where the comic was better than the movie? Well no, but at least it’s not hot garbage. The gang time travels from 2099 to the Bush Years to see Millar back when he still put some effort into his comics. Ryan gives his reasons for why this book is good and prays it doesn’t disprove his arguments in the meantime. Phil is not sure if it’s really satire or just Millar being Millar. Darryl is not fooled by the obvious supervillain that is Millar and is desperate to out him. Sly on the other hand is just trying to find the trademark Millar cuckoldry.